WebJunction published two of my articles last month. One discussed the goals, strategies, and frustrations of implementing a social library. 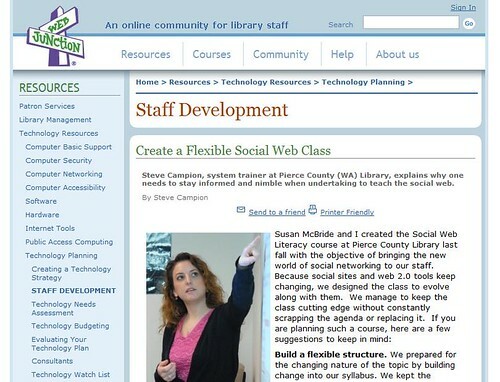 The other focused on creating a flexible social web training class for libraries. This entry was posted on Tuesday, October 2nd, 2007 at 12:22 pm and is filed under social web, training. You can follow any responses to this entry through the RSS 2.0 feed. You can leave a response, or trackback from your own site.